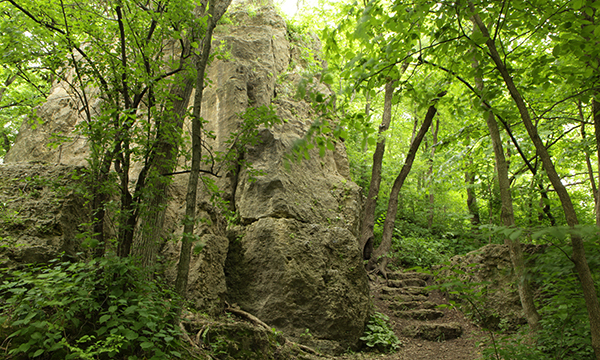 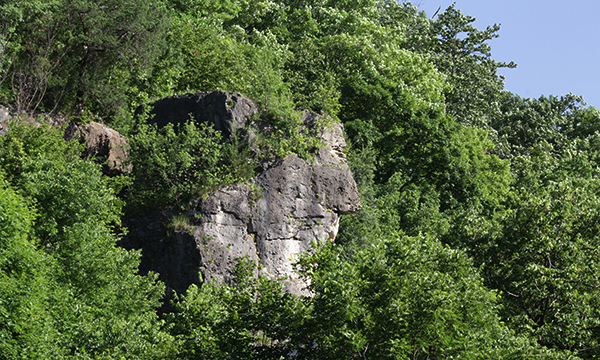 The Native American pathfinders along the rock palisades of the Mississippi River did as present-day hikers do -- in coursing the bluffs, they took the paths of least resistance. 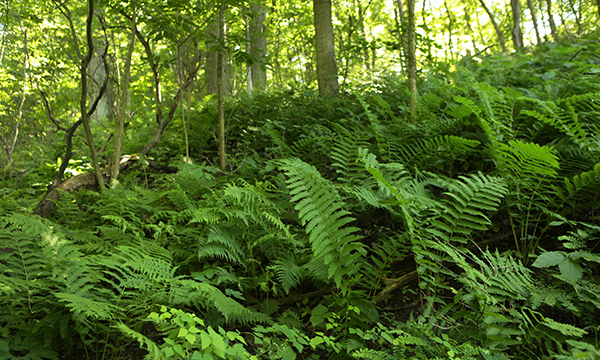 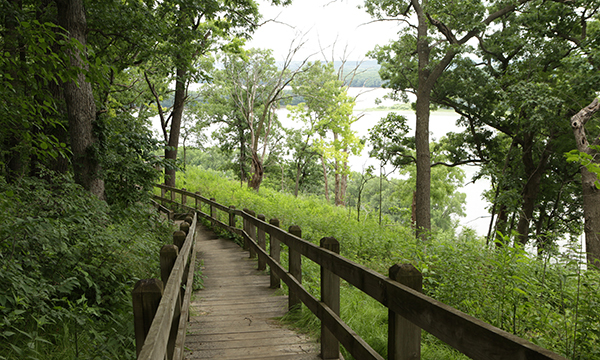 The trails at the Mississippi Palisades, especially the park’s southern routes, put you in touch with the past. 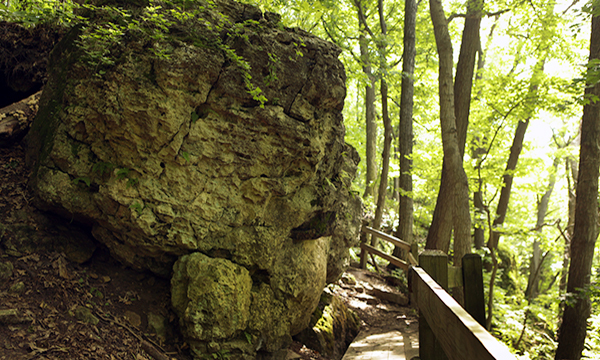 Walk them and you’ll trace the footsteps of all those who came before you, some of whom came this way nearly a thousand years ago. 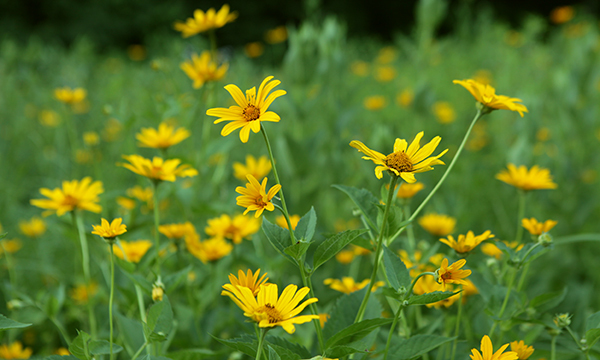 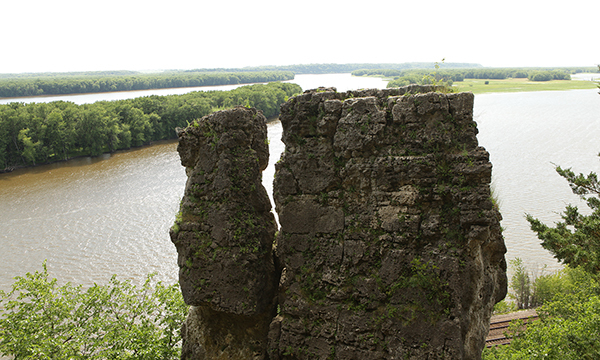 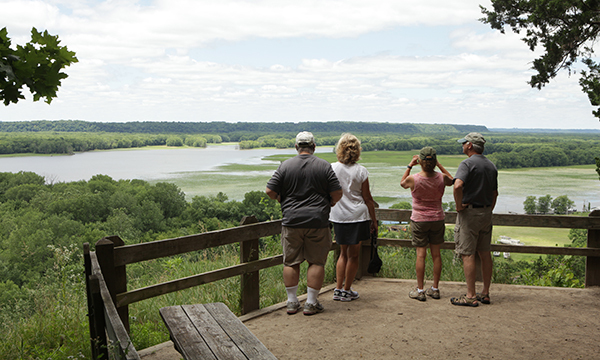 Located near the confluence of the Mississippi and Apple rivers in northwestern Illinois, the 2,500-acre Mississippi Palisades State Park is rich in Native American history.